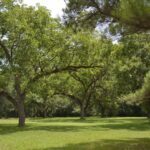 SPECIAL FEATURES: Great opportunity to purchase a well-managed hunting and timber tract with water and creek frontage that lends a multi-dimensional use for the land. 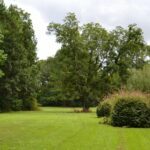 Located in SW Autauga County near Statesville, the western border is composed of 5000+ linear feet on Buck Creek and over 4200 linear feet on Big Mulberry Creek. Big Mulberry Creek is a beautiful gravel bottom water source with clear water that gets up to 185 feet wide between its banks. Big Mulberry Creek constitutes the dividing line between Autauga and Dallas County. It provides places to camp, fish, duck hunt, and float the creek straight into the Alabama River which is located a little over half a mile from the property. 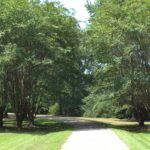 As you enter the land, there’s about 80 acres of rolling topography with a mix of 27 year old loblolly pines, hardwood drains, and well placed green fields. 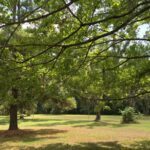 The majority of the rest of the land is level and diverse where you’ll find various ages of planted long leaf, loblolly, and mature hardwoods growing in superb soils fertilized from the water sources described above.